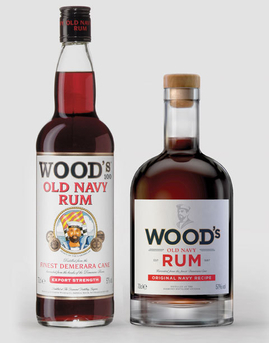 Wood's 100 Rum A Demerara Navy style rum distilled at Guyana’s Diamond Distillery from fermented black strap molasses. The blend contains some rum distilled in a wooden pot still at the distillery, the last working wooden stills in the world. Product #: 159 4.0 stars, based on 1 reviews Rating from 1.0 to 5 £29.75 In stock! Order now! 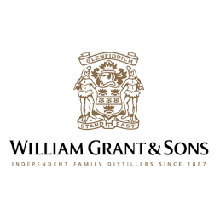 The blend contains pot still and continuously distilled rums aged 1½ to 3 years. 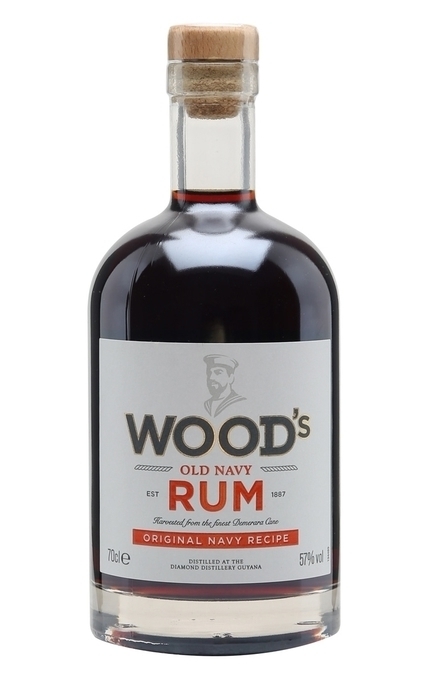 Wood’s is often used as a ‘float’ on cocktails, particularly Tiki style drinks, due to its flavour and strength. 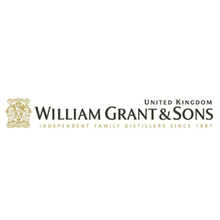 Wood’s 100 was acquired by William Grant & Sons in October 2002 but the iconic packaging remained unchanged. 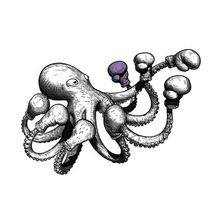 That was until April 2016 when a London based design agency, Purple Creative, decided the packaging needed updating. A heavy stubby bottle replaced the old tall round bottle. Cork replaced the more sensible screw cap. 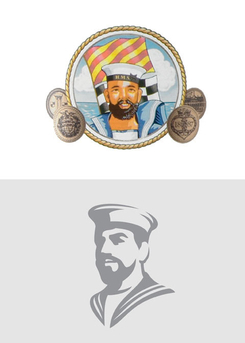 But worse the bold pastel illustration of the beaded sailor was replaced with a faded silhouette. Proof that some things are best left as they are. Prunes, Christmas pudding, caramel, toffee, dark chocolate, nutmeg and cinnamon spice. 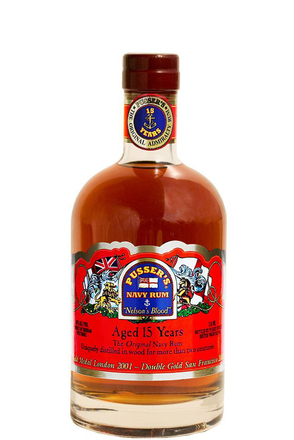 Beyond the punch of high strength alcohol lies flavours of toffee, golden syrup, demerara sugar and cinnamon spice. Opens to reveal toffee fudge, dark chocolate and orange. Christmas pudding, hot cinnamon and alcohol peppery spice. 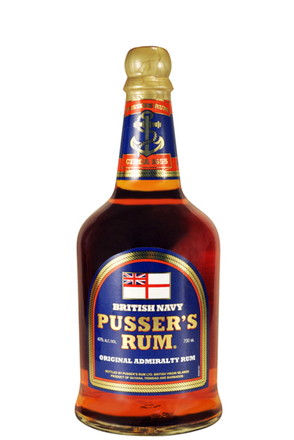 Punchy - as a proper 'Navy' rum should be. Burnt toffee and spice flavours dominate. 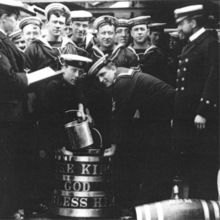 As the rather appropriate name suggests, Black Tot is blended and bottled from the last stocks (‘Last Consignment’) of Royal Naval Rum.